Negative stock is the opposite of positive stock but there are some things you need to keep in mind when using these functions. If the outcome is not what is required, the model needs to be modified to suit the desired outcome. 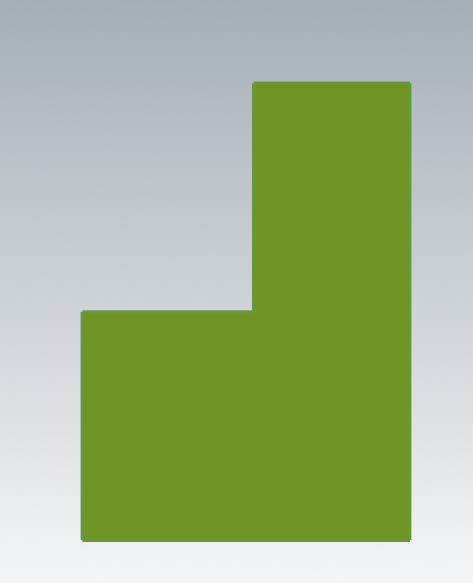 The Stock to leave fields can be found on the Cut Parameters page within your toolpath. To demonstrate this, a simple profile will be used. The interior corners will offset from the profile and clip away the excess to maintain a sharp corner. 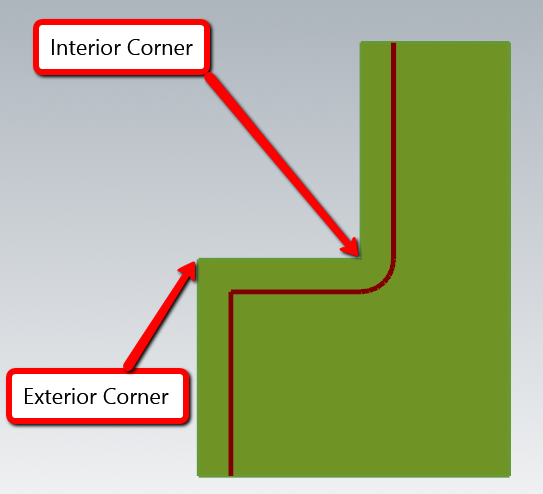 The exterior corners will offset which will result in a gap; the gap is filled with a fillet. 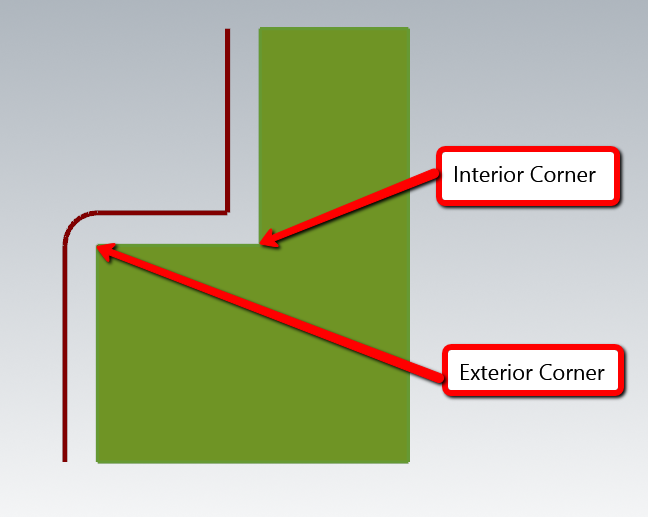 The interior corners will offset which will result in a gap; the gap is filled with a fillet. The exterior corners will offset from the profile and clip away the excess to maintain a sharp corner.